PT Astra Otoparts Tbk - AOP or known as "Astra Otoparts" is a reputable public-listed automotive components manufacturing company in Indonesia. Astra Otoparts operates primarily as a producers of automotive components. Its business include manufacturing and trading automotive components. Astra Otoparts running business in manufacturing and distributing of wide range automotive components for two wheelers and four wheelers, with the largest market segment in Original Equipment Manufacturer (OEM) and Replacement Market (REM). PT Astra Otoparts Tbk is a directly-owned subsidiary company of large diversified business group PT Astra International Tbk (Astra Group). At present, Astra Group holds 80% shares in Astra Otoparts. Other 20% remaining shares was owned by public. Astra Otoparts is based in Jakarta and now supported by 7 business units, 18 consolidated subsidiary companies, 20 equity method companies, 1 cost method company, and 10 indirect investment companies. In term of financial performance, Astra Otoparts succeeded in posting excellent financial performance in 2017. Astra Otoparts recorded total manufacture business posted net revenue of Rp 7.1 trillion 2017, according to information found in PT Astra Otoparts Tbk Annual Report 2017 as cited by JobsCDC.com. This number was increase 2.5% Year on Year (YOY) from Rp 7.1 trillion in 2016. Trading business recorded net revenue in 2017 worth of Rp 5.9 trillion. Thi number grew 9.7% from Rp 5.9 trillion in 2016. Total net revenue in 2017 amounted to Rp 13.5 trillion or up 5.8% from Rp 12.8 trillion in 2016. 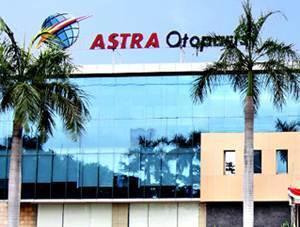 Astra Otoparts registered total net profit of Rp 547.8 billion in 2017, grew 13.3% from Rp 483.4 billion in 2016. Bachelor Degree from reputable universities, majoring in Accounting with minimum GPA of 3.00. Fresh graduate or have minimum 1 year of experience. 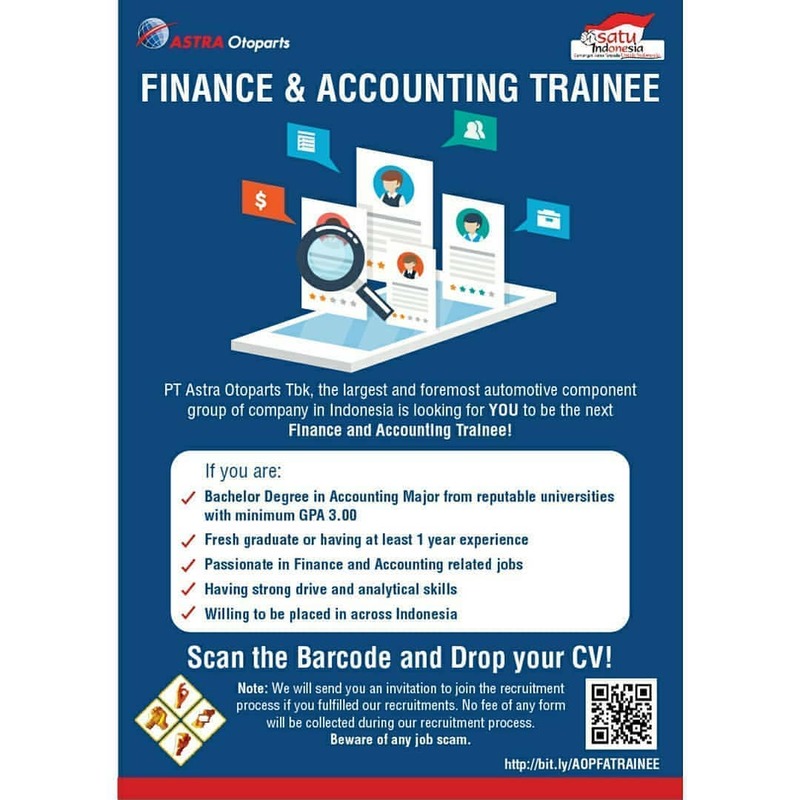 Passionate in Finance and Accounting related jobs. Strong drive and analytical skills.